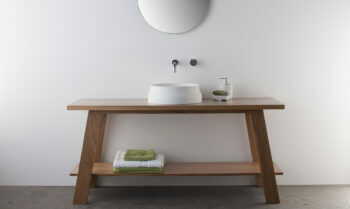 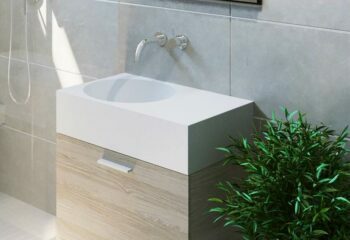 The clean lines and elegant shallow vessel of the Mono basin offers a luxurious element to any small powder room or larger more opulent bathroom. 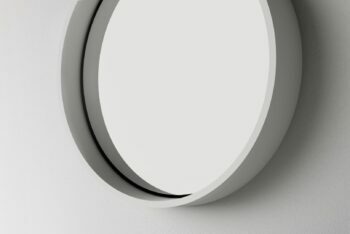 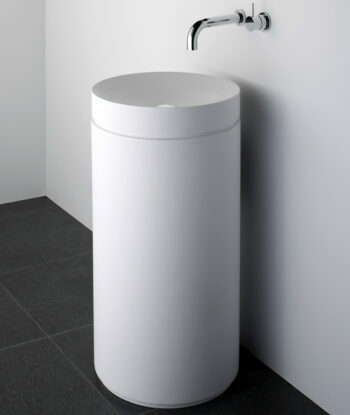 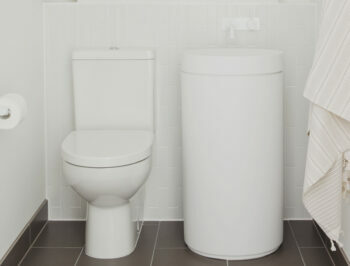 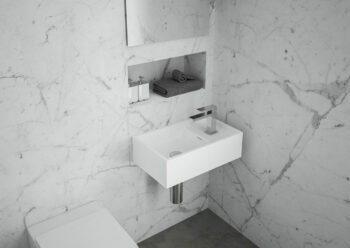 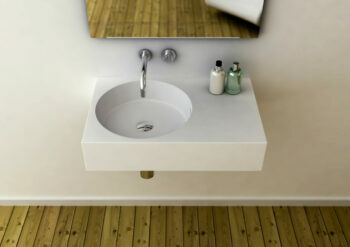 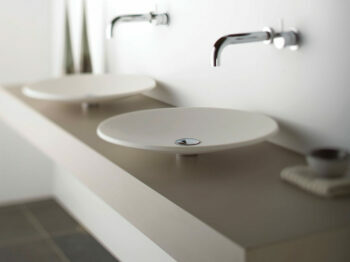 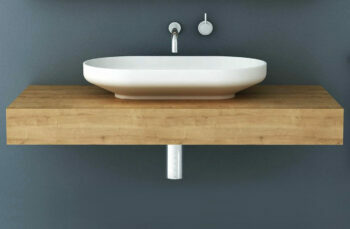 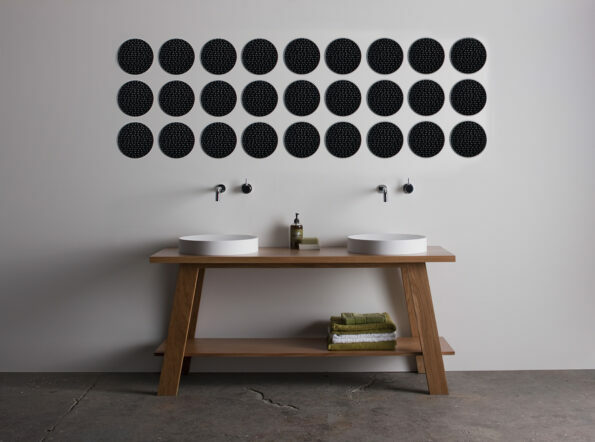 The Mono basin can be partnered with the chic cylindrical pedestal or installed on bathroom furniture. 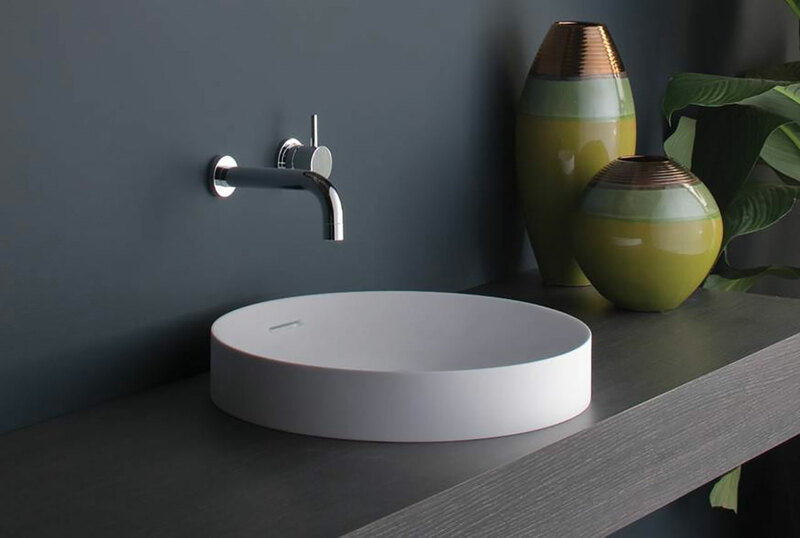 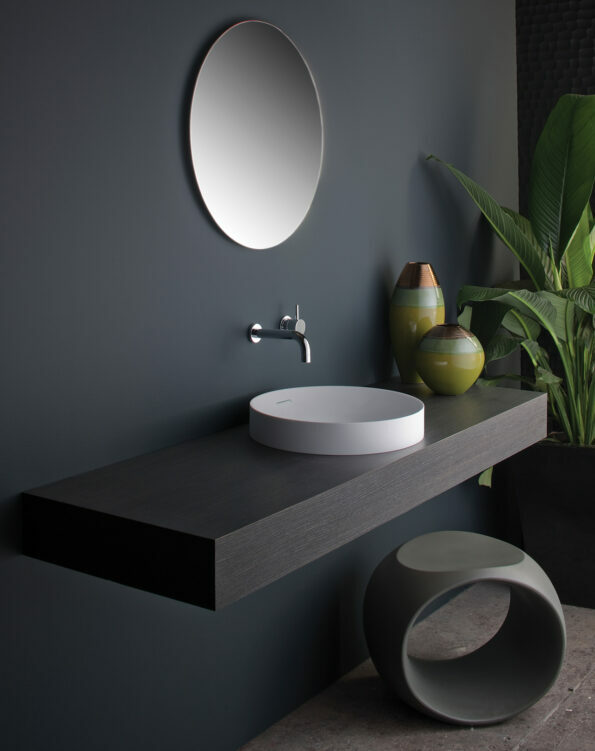 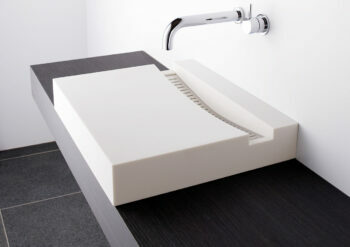 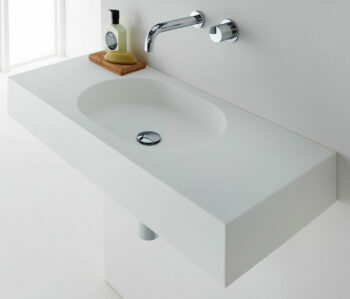 Manufactured from solid surface the Mono basin has a smooth matt finish that is exceptionally hard wearing, durable and is also available with Softskin options. 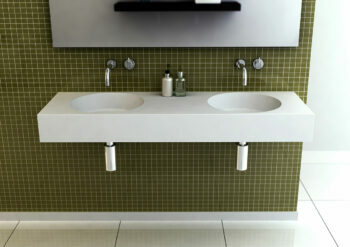 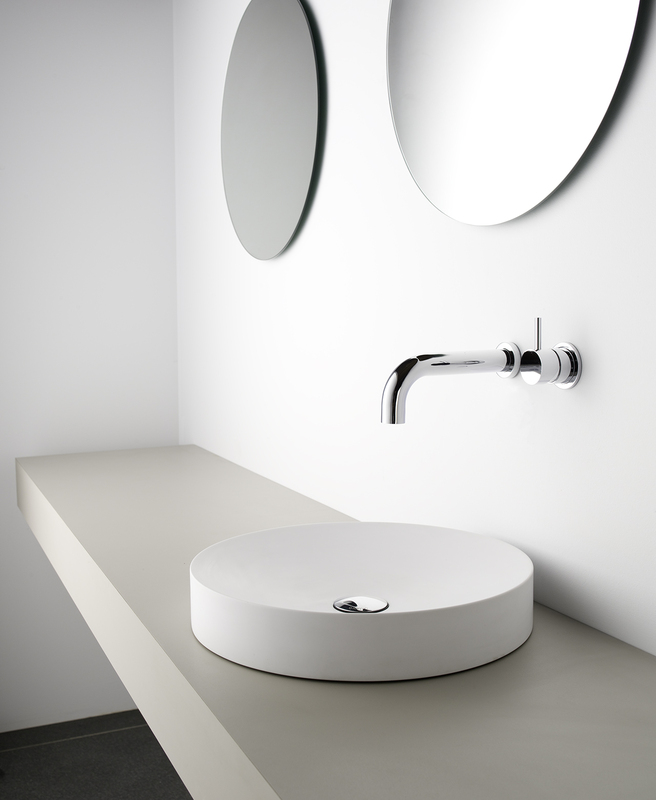 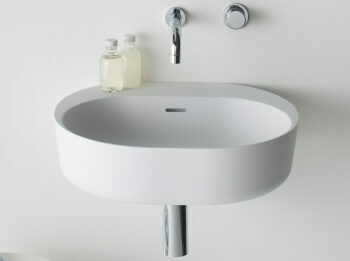 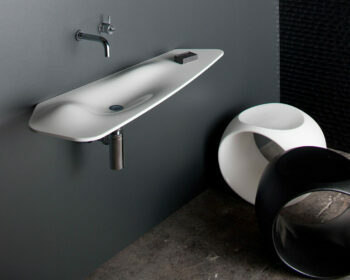 Mono is designed to accompany mounted tapware and is supplied with a polished chrome pop up plug and waste and overflow.